Nearly half a century has passed since the teaching of educational studies and educational administration (EA) in Iran; however, a significant scholarly and practical progress has not been made. Therefore, reflecting on the status of the current situation is important. 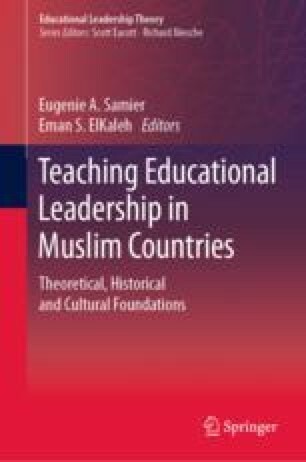 This chapter focuses on the teaching status of EA in Iran using the analytical-critical method to examine and analyse the constraints governing this area. The chapter is structured in three sections. The first provides a brief overview of the history of the traditional and modern education systems and the formation of educational studies and EA in Iran. The second part is devoted to the analysis of EA backwardness factors under the heading of macro- and micro-limitations. Macro-limitations refer to the historical-political background of the Iranian education system, which has had a direct and indirect impact on the field of EA. Micro-limitations refer to a set of factors related to the internal conditions of the EA field and are classified in three groups: scholarly weakness of the researchers, research poverty, and deficiencies in EA curriculum. Finally, in the third section, suggestions are made to improve the status of the EA field.